Iran’s Islamic revolution, which brought Shias to power in 1979, and the Sunni backlash have fueled a competition for regional dominance. This timeline highlights Sunni-Shia tensions in recent decades. Iran’s ruler, Mohammad Reza Shah Pahlavi, flees the country after months of increasingly massive protests. 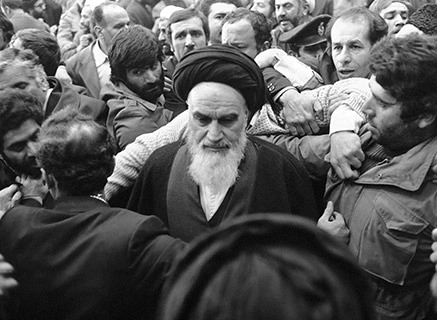 Exiled Shia cleric Ayatollah Ruhollah Khomeini returns and leads an Islamic republic based on a constitution that grants him religious and political authority under the concept of velayat-e faqih (“guardianship of the jurist”). 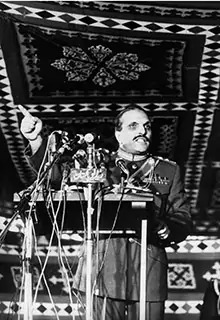 Khomeini is named supreme leader and starts to export the Islamic revolution, which is viewed with suspicion by Sunni rulers in countries with significant Shia populations, such as Iraq, Bahrain, Kuwait, the United Arab Emirates, Pakistan, Saudi Arabia, and Lebanon. 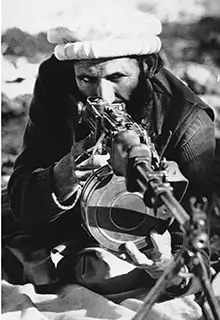 Soviet forces invade Afghanistan after the communist government in Kabul requests military aid to fight Islamist rebels. The insurgents, known as mujahadeen (“those who fight jihad”), attract mainly Afghan fighters and are augmented by thousands of foreign Sunni fighters, including a young Saudi named Osama bin Laden. Weapons and cash for the mujahadeen are supplied through Pakistan by Saudi Arabia and the United States. 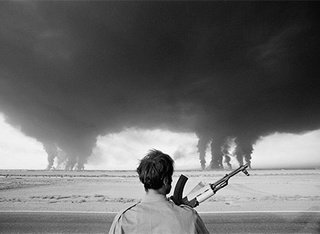 The war, which is framed as a resistance to Soviet occupation, raises the profile of fundamentalist Sunni movements. Tens of thousands of Shias protest in Islamabad against the imposition of some Sunni laws on all Muslims. Pakistan’s president gives Shias an exemption, but the sectarian confrontation becomes an important political issue in the country. 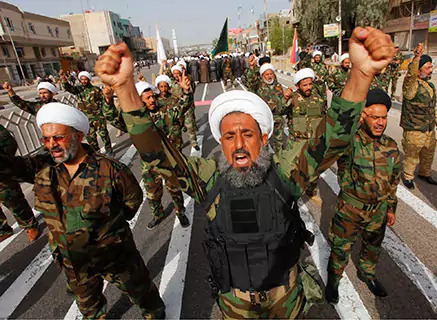 Sunni groups such as Lashkar-e-Jhangvi and Sipah-e-Sahaba, funded by Wahhabi clerics in Saudi Arabia, kill thousands of Shias over the next three decades. Smaller Shia sectarian militant groups such as Tehrik-e-Jafria also emerge but are responsible for fewer attacks. Iraqi president Saddam Hussein, a Sunni ruling over a majority-Shia country who fears the spillover effects of the Iranian Revolution, sends his troops to occupy part of an oil-rich province in Iran. The move sparks an eight-year war, resulting in roughly one million deaths. Iraq is backed by Saudi Arabia and the United States, the latter responding to hostility from Tehran’s new government following the Islamic revolution and taking hostage of U.S. diplomats. Riots erupt in the Shia cities of Basra and Najaf after U.S.-led allies drive Iraqi troops from Kuwait and rout them on the battlefield in the first Gulf War. The Shia protestors are in part motivated by a perception that they will receive U.S. backing if they turn against Saddam. U.S. officials say this was never promised. Saddam’s forces mount a brutal crackdown, killing tens of thousands of Shias, shelling the shrines of Najaf and Karbala, and razing parts of Shia towns. 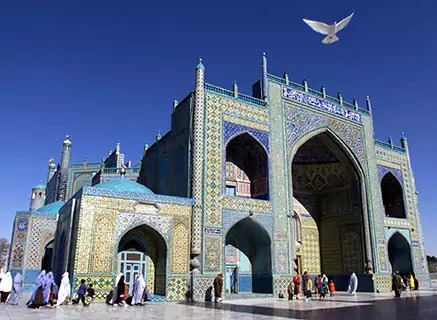 Taliban militants, Sunni fundamentalists who seized power after the defeat of Soviet forces, capture the city of Mazar-e-Sharif in northwest Afghanistan. 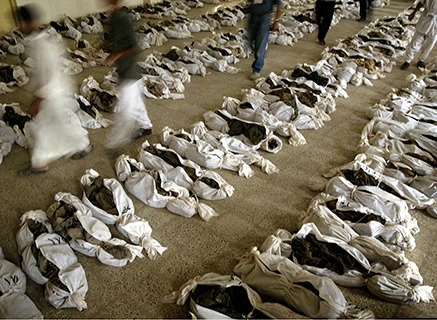 The Taliban kills at least two thousand Shias in Mazar-e-Sharif and Bamiyan in 1997 and 1998. The offensive in northwest Afghanistan, backed by Pakistan, helps the Taliban consolidate power in the country. Militants kill eight Iranian diplomats based in Mazar-e-Sharif, prompting Tehran to deploy its troops to the border, but United Nations mediation averts a confrontation. 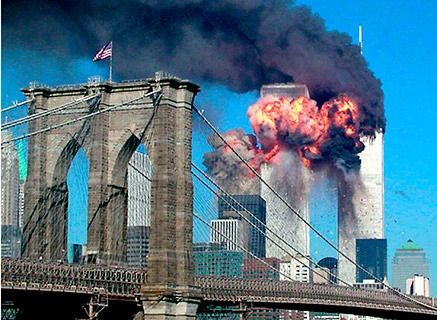 In response to the attacks on New York and Washington, U.S. forces pursue al-Qaeda leaders and militants to their bases in Afghanistan and overthrow the Taliban government. U.S.-led international troops help set up a new order in the country. 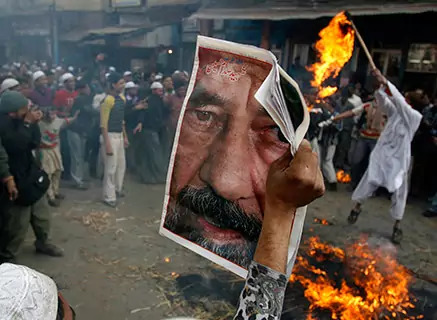 The toppling of the anti-Iranian Taliban government in Afghanistan, followed shortly thereafter by the U.S. invasion of Iraq that brings down another Iranian foe, Saddam Hussein, fans Sunni fears in Jordan and Gulf states of a Shia revival. 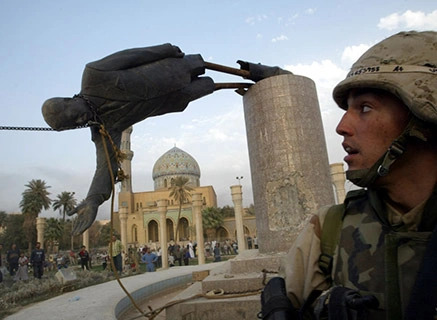 A coalition led by the United States invades Iraq and ends Saddam’s regime and centuries of Sunni dominance in Iraq. Sectarian violence erupts as remnants of the deposed Ba’ath party and other Sunnis, both secular and Islamist, mount a resistance against coalition forces and their local allies, the ascendant Shia community. Shia militias also emerge, some of which also oppose the U.S. military presence. Foreign Sunni militants, many affiliated with al-Qaeda, flock to Iraq to participate in what evolves into a sectarian war. Iranian influence in Iraq grows dramatically as Tehran backs Shia militants, as well as the Shia political parties that come to dominate the electoral process. Former Lebanese prime minister Rafik Hariri is killed in a car bomb after spearheading an effort to raise international pressure on Syria to withdraw its forces, which have been in Lebanon since 1976. His assassination is seen as a Syrian plot supported by Syria’s Lebanese allies, including Hezbollah, and leads to massive demonstrations that convince Syria to withdraw. 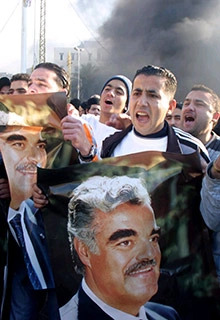 The assassination and subsequent mobilization pit the Lebanese Sunni community, whom Hariri had come to represent, against Hezbollah and Lebanese Shias, who remain allied with Syria. Lebanese Christians split, with some supporting the Hariri camp and others supporting Hezbollah. Sectarian killings become normal in Iraq, with both Sunni and Shia militias targeting civilians across the country. 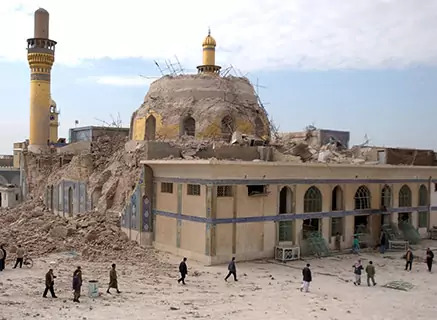 The bombing that destroys the golden dome of al-Askari mosque in Samarra, home to the tombs of the tenth and eleventh Shia Imams, triggers a more intense wave of violence that almost doubles the monthly civilian death toll in Iraq to nine hundred. Saddam Hussein, responsible for the deaths of thousands of Shias and Sunnis in Iraq, is executed amid taunts by witnesses who chant the name of Shia cleric and Mahdi army militia leader Muqtada al-Sadr. The unruly scene, captured on video, elevates Saddam’s status as a martyr among many Sunnis in the region and underscores the new reality of rising Shia power in Iraq. A wave of pro-democracy protests sweeps across the region, starting with the overthrow of Tunisia’s president, and then Egypt’s on February 11, eventually spreading to other Arab states in what is known as the “Arab Spring” or the “Arab Awakening.” Iranian officials welcome the fall of long-term U.S. allies like Egypt’s president, Hosni Mubarak, and unrest in Bahrain, home to an oppressed Shia majority. 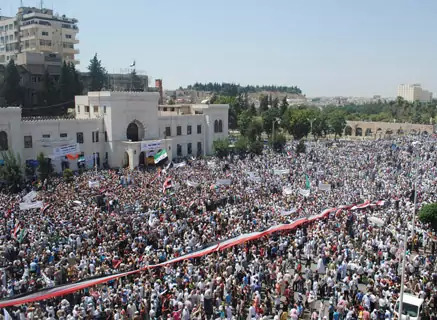 As protests reach Syria in March, Tehran backs the government, which is dominated by Alawis, a heterodox Shia sect, while the opposition is dominated by members of the majority Sunni community. Dormant sectarian tensions in Syria are revived and a regional sectarian showdown begins. 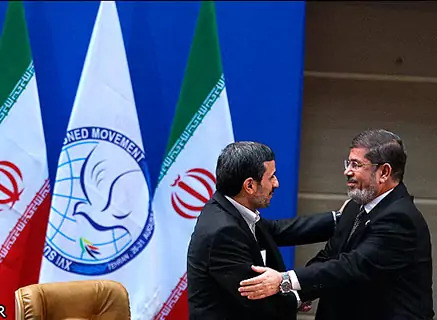 President Mohamed Morsi’s trip to Tehran, the first visit by an Egyptian leader since Cairo’s recognition of Israel in the 1980s, signals the potential for a new relationship between Iran and Sunni Islamists. Iran tries to rebrand the remarks that Iranian officials criticize. Civil war divides Syrians largely along sectarian lines, with Sunnis supporting rebels, and Alawis, Shias, and other minorities backing the Assad regime. Foreign Sunni fighters trickle and then flood into the country, and signs of increased involvement from Iran and its Lebanese proxy militia, Hezbollah, emerge. 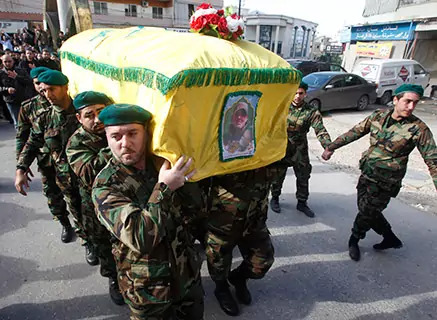 The death of Hezbollah founding member Ali Hussein Nassif comes months before the group publicly acknowledges its role in the war. Saudi Arabia and other Gulf countries fund rebels, turning the fighting in Syria into a regional proxy war. The Islamic State of Iraq, al-Qaeda’s affiliate in the country, extends its activities into Syria, creating the Islamic State of Iraq and Syria (ISIS). Known for its brutality against Shias and most Sunnis who oppose it, the group proves to be too extreme for al-Qaeda and is eventually expelled from the network. 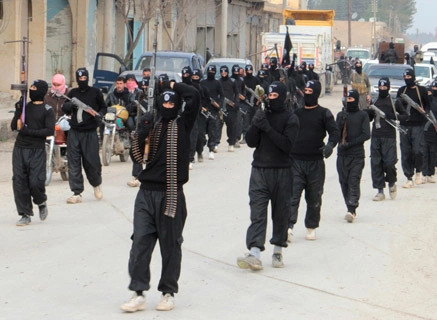 ISIS attacks in Iraq and Syria add an additional layer of sectarian violence to the region, and its control of territory in both states threatens to dissolve borders and fracture countries in the Middle East. Asian Muslims, influenced by the sectarian violence in the Middle East and Pakistan, aim to avoid potential tensions by suppressing the growth of their tiny Shia communities. Indonesian clerics and radical Islamists hold an “Anti-Shia Alliance” meeting in the world’s largest Muslim country, which is more than 99 percent Sunni. 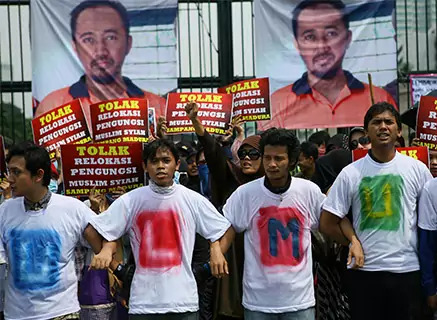 Malaysia, where Sunnis are also dominant, has implemented laws forbidding the propagation of the Shia faith. ISIS militants and other armed Sunni groups seize Mosul, Iraq’s second-largest city, with little resistance from the Iraqi army. The Sunni insurgency, brewing for years in response to what it sees as exclusionary policies of Shia prime minister Nouri al-Maliki, expands toward Baghdad and the borders with Syria and Jordan. ISIS threatens to destroy sacred Shia shrines, prompting a call to arms by Iraq’s top Shia cleric, Grand Ayatollah Ali al-Sistani. Shia civilians respond to a mass recruitment drive that swells the ranks of militias and elevates sectarian tensions. 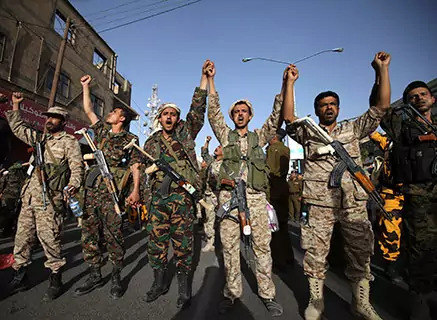 Abed Rabbo Mansour al-Hadi, Yemen's president, flees Sana’a after the Houthis, a Zaydi Shia militant group in the country, take over the capital Sana'a. Al-Qaeda uses the Houthi advance to attract recruits and improve its standing among Yemen's Sunnis. Tehran praises the Houthi takeover, and Iranian civilian flights land in Sana'a for the first time in twenty-five years. Saudi Arabia, backed by nine Sunni-majority countries and the United States, launches air strikes against Houthi targets in March. Saudi Arabia breaks off diplomatic relations with Iran for the first time since 1988–90. 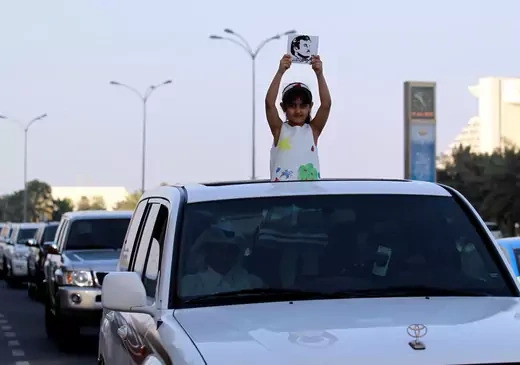 The escalation comes a day after Saudi Arabia executed Sheikh Nimr al-Nimr, a Shia cleric who had led antigovernment protests in the country's east, where a Shia minority lives atop major oil reserves. 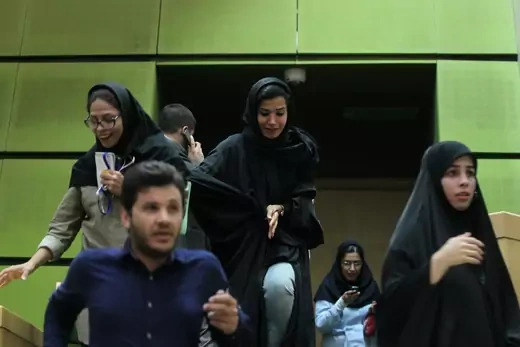 Iran's leaders denounced the execution, and the Saudis broke off ties after Iranian protesters stormed the Saudi embassy in Tehran and a consulate in Mashhad. The crisis threatens U.S. efforts to broker a settlement to the Syrian civil war with both Iranian and Saudi participation. Saudi allies Bahrain and Sudan break off diplomatic relations, and the United Arab Emirates and Kuwait downgrade relation with Iran. The UN nuclear watchdog verifies that Iran has carried out the first steps for restricting its nuclear program as agreed to in the Joint Comprehensive Plan of Action the previous summer. The European Union, United Nations, and United States follow by lifting sanctions on Iran. Saudi Arabia had vigorously lobbied the United States against the agreement, believing that sanctions relief would allow Iran to redouble its commitments to proxy fights in the Middle East. Gulf officials also feared that the accord might signal a diminished U.S. commitment to their security. Saudi Arabia, the United Arab Emirates, Egypt, and Bahrain sever ties with Qatar, accusing it of fostering terrorism in the region. They restrict access to Qatar and enlist other countries in their coalition. Qatar had long struck a foreign policy independent of its far larger Gulf neighbor; after the 2011 Arab uprisings, it lent its backing to popular Islamist movements that Saudi and Emirati monarchies saw as inimical to their interests, and it also rejected the hard line that both Saudi Arabia and the United Arab Emirates took against Iran. The move to isolate Qatar came just after a Riyadh summit in which the leaders of Sunni powers—Qatar among them—joined President Trump on his first foreign trip to present a united front against Iran. The Islamic State claims responsibility for simultaneous attacks on Iran’s parliament and the shrine to revolutionary leader Ayatollah Ruhollah Khomeini. The perpetrators of the assault, in which seventeen were killed and dozens injured, are identified as Iranian Kurds, but top Iranian security officials cast blame on Saudi Arabia, saying it sponsors terrorist groups inside Iran.